Brisbane - South Africa's cricketers are doing their best to play tourists during a nine-day break between the first two Tests of their Australian tour. 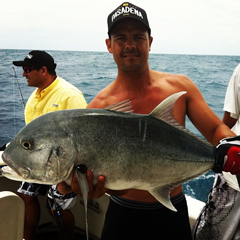 Middle-order batsman Jacques Rudolph went to Cairns in north Queensland for deep sea fishing on the Great Barrier Reef. 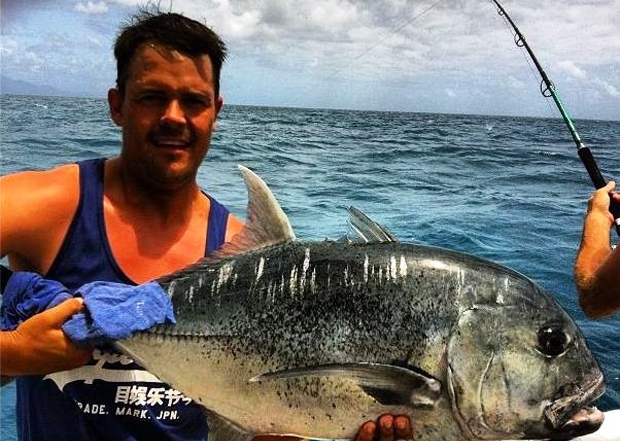 Rudolph appeared in a photograph in the Sydney Morning Herald with a large reef fish he caught on Wednesday, a day after the first Test ended in a draw at the Gabba in Brisbane. Jacques Kallis travelled from the Gabba to the Sunshine Coast for four days of golf. Fast bowlers Vernon Philander and Rory Kleinveldt also hit a Brisbane golf course on Wednesday, while captain Graeme Smith, AB de Villiers, Dale Steyn and Faf du Plessis went to the beaches north of Brisbane. Opening batsman Alviro Petersen is the only team member to travel straight to Adelaide, site of the second Test beginning November 22, where he is visiting friends. Head coach Gary Kirsten returned to South Africa to see his family. Team manager Mohammed Moosajee said the break helps South Africa, the No 1 Test nation, stay relaxed. "This is an 11-month season for most of our players, so we decided long before our English tour that, wherever we can, we're going to try to find novel ways to refresh and re-energise," Moosajee told the Sydney Morning Herald. "We were 3½ months in the UK, a month in Sri Lanka for the World Cup, then some of the guys had the Champions League for three weeks, and we're here for another five or six weeks. When we saw this break period, we decided on three to four days for the guys to get away from cricket and see your beautiful country." South Africa, like Australia, will re-assemble and travel to Adelaide on Sunday. "It's never an exact science," Moosajee said. "People will look at it at the end of the series and judge whether it was the correct decision or not. What we have noticed when we give them time out is that, when they come back, it's more meaningful than having tour matches or net sessions. It has certainly worked well for us up until now." The teams will play a third Test beginning on November 30 in Perth.